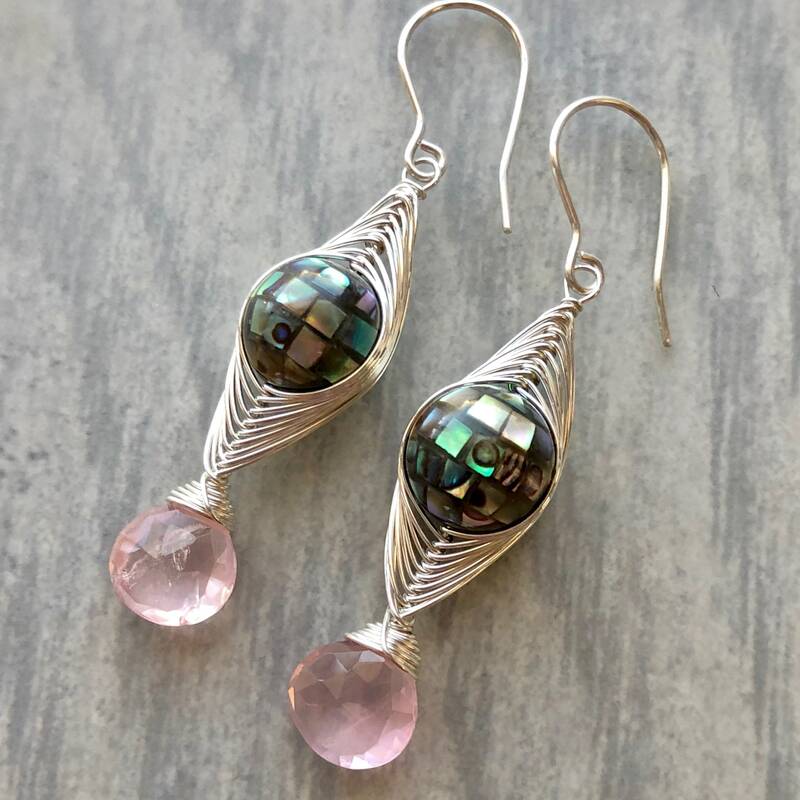 High quality, faceted rose quartz and smooth, iridescent paua shell mosaic balls (abalone from New Zealand) are wrapped together in an intricate sterling silver herringbone weave. The mosaic paua shell spheres look a little like tiny disco balls. • These earrings measure 2" long. • The rose quartz briolettes are 9mm x 11mm. • The paua shell mosaic spheres are 10mm in diameter. 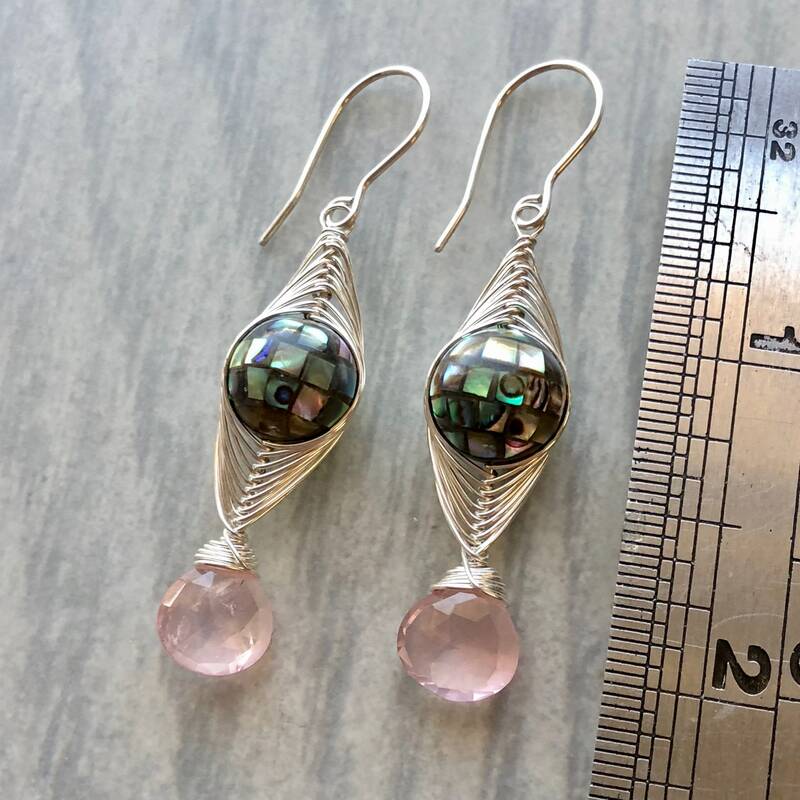 • These earrings have been made with .925 argentium sterling silver, which resists tarnish.